Is Ozone Therapy an Effective Treatment for Lyme Disease? As a holistic dentistry, Assure A Smile offers numerous biocompatible therapies that benefit oral health and total body wellness. All-natural ozone therapy, for instance, is used to rid the mouth of hard-to-reach bacteria while promoting healing during routine procedures. However, ozone therapy is a multi-functional treatment tool used to treat other ailments throughout the body. Trial and testament proves ozone therapy is an effective and beneficial treatment for a variety of illnesses, including Lyme disease. Lyme disease is a bacterial infection that is transmitted to humans through deer ticks and black-legged ticks. Typically, they live in wooded or grassy areas, like farms or forests. Lyme disease exists in the United States and sixty other countries. Approximately 300,000 people are diagnosed with Lyme disease every year, according to the Centers for Disease Control and Prevention. Lyme disease is 1.5 times more common that breast cancer and six times more common than HIV/AIDS. However, Lyme disease diagnosis is complicated. Symptoms are often misjudged for other disorders (fibromyalgia, multiple sclerosis, depression) and a formal diagnosis often takes years. So, it’s quite possible even more people are suffering than what statistics show. Symptoms can range from mild to severe, but tend to get worse as Lyme progresses. In a survey of 5,000 patients, 74 percent reported they experience at least one severe or very severe symptom. Not all patients develop the characteristic Lyme rash – estimates range between 30-80 percent of cases. Some completely recover from early Lyme disease with prescribed antibiotics, but that requires early diagnosis. Antibiotics aren’t effective on patients who are initially misdiagnosed. 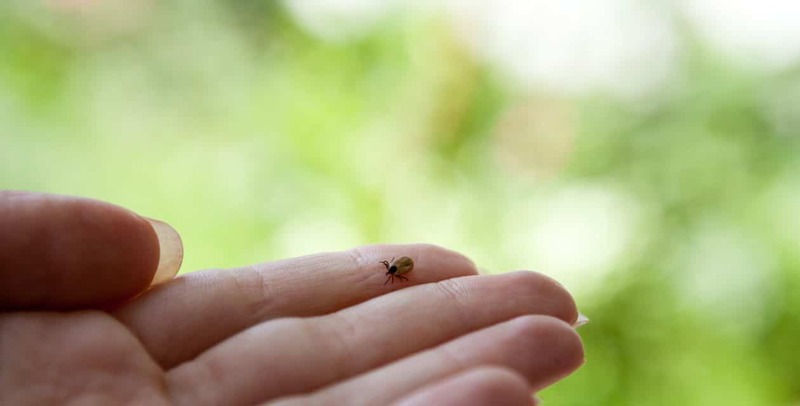 Patients who do not fully recover suffer from chronic Lyme disease. According to the CDC, 10-20 percent of patients develop ongoing symptoms. Chronic Lyme is viewed similarly to congestive heart failure in that the quality of life for patients is extremely low. Treatments for chronic Lyme range from low-dose antidepressants to sleep medication. The Infectious Disease Society of America (ISDA) says lime disease is difficult to catch but easy to cure with short-term antibiotics, and that the infection cannot persist in the body after antibiotics. But, as the International Lyme and Associated Diseases Society (ILADS) attests, Lyme infections and symptoms can persist. ILADS believes patients should have access to more treatment methods and encourages patient-physician collaboration. You’ve probably heard of the earth’s ozone layer – the section of the earth’s stratosphere that limits harmful ultraviolent radiation from the sun. Unlike the oxygen we breathe, which is comprised of two O molecules, ozone contains three O molecules. Ozone gas in its natural state is not safe to inhale, but can be highly beneficial in treating a range of illnesses – including Lyme disease – with alternative methods. Some ozone treatments are administered intravenously, often mixed with high dose Vitamin C to boost immunity. Ozone can also be applied topically to absorb through the skin, or ingested via ozonated water. Some patients bathe in ozonated water or sit in ozone saunas. However, ozone must always be administered by a licensed physician. Misusing ozone or purchasing unofficial ozone can be toxic and potentially fatal. Many holistic doctors agree that ozone therapy is not advertised or endorsed by the medical industry because it cannot be patented. But, patients suffering from chronic Lyme disease deserve to understand the benefits of ozone therapy, an alternative and natural healing method. At Assure A Smile, we offer biological treatments – including the DOU120 Dental Ozone System – that support natural healing. For questions on ozone therapy, or to learn how O3 promotes dental well-being, call our Miami office at 305-274-0047.